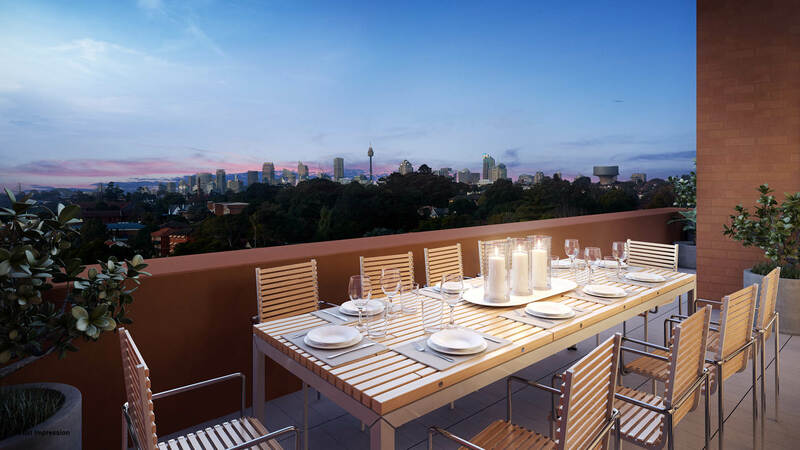 Dulwich Hill used to be Sydney’s best-kept secret as a residential hotspot, but as new developments like Arlington Grove hit the market, word is spreading of this increasingly popular suburb. Most often noted as being in the ‘inner of the outer west’, Dulwich Hill is story-book pretty. Art Deco and Federation housing line the leafy streets, and to meet the rising population newer developments have joined the streetscape. Where once orange trees stood, now a new apartment project rises. Embodying the suburb’s laid-back vibe, Arlington Grove is the epitome of modern convenience. The Arlington light rail is just a short walk away, and residents have access to the best amenities the inner-west has to offer. Nearby Dulwich Hill village is community oriented. People move here for the affordability but stay for the warm and friendly neighbourliness. It’s a place where locals stop to chat over while waiting for a coffee and greet one another down the street. And, with many restaurants and cafés, the shopping precinct on New Canterbury Road and Marrickville Road is a popular destination for locals. Hit up Campos Coffee for a morning beverage, while Japanese eatery MANMARU is a people-pleaser with its Mochi dumplings. On the rare occasion something can’t be found within Dulwich Hill’s village, neighbouring suburb Marrickville is sure to have it. With two supermarkets, as well as a butcher, baker and grocery stores, Marrickville is a home chef's dream. The Marrickville Organic Food and Farmers market, held every Sunday at the Addison Community Centre, is a must-do. Developer Galileo Group has carefully planned Arlington Grove so that all residents benefit from connections to the surrounding parklands. Green-grassed Johnson Park has two playgrounds as well as a skate park. It’s the ideal setting for a weekend family picnic or an impromptu game of basketball on the courts. Closer to home, the beautifully landscaped Arlington Square acts as a gathering place for the community. 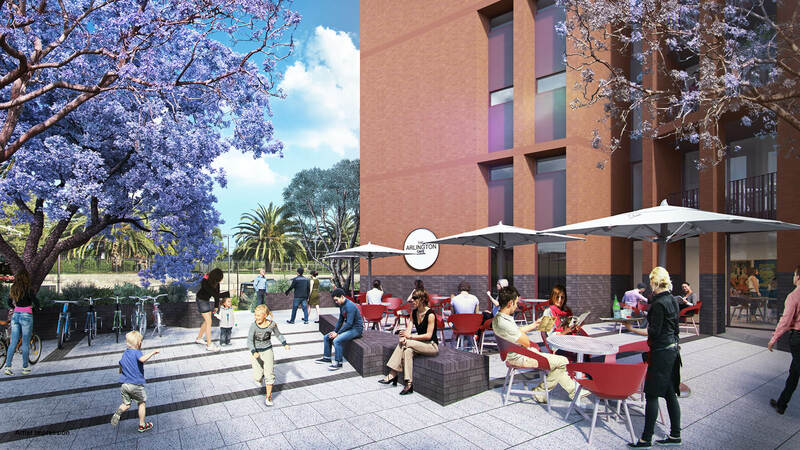 With a proposed on-site café, residents will be able to get to know one another under the shade of newly planted orange trees. Each of the four buildings is titled after a different variety of orange, as a salute to the site’s past as an orange grove. The highest building only goes to level eight, so Arlington Grove is a careful balance between intimacy and community living. The 1, 2 and 3 bedroom apartments feature generously sized balconies that seamlessly connect the outdoor spaces to the light-filled interiors. The sun flows through full-height sliding glass doors, highlighting timber flooring and tall ceilings. Each apartment offers classic yet modern designs, with superior fittings and fixtures. Outside of the home, residents have access to a community garden, made for gathering and connecting with neighbours while picking herbs for that night’s dinner. A centrally located Residents’ Room has state-of-the-art barbecue facilities – the perfect place to host a party and practice at the grill. Only 30 minutes from the city via the light rail, Arlington Grove puts people in the centre of multicultural Dulwich Hill, where community matters. Enquire here to find out more about these residences.